Are you swimming in a sea of headbands, struggling to learn how to organize headbands? It’s time to put all those worries and struggles to rest because making your own DIY headband holder is now so easy peasy! For years I’ve been collecting piles of headbands (literally! ), for both my daughter and myself (I’m not ashamed to admit I’m such an addict, I simply can’t resist headbands!). And they’ve all been “organized” in such a huge messy pile, in a plastic bag, until the idea of making this fabulous DIY headband holder finally crossed my mind! 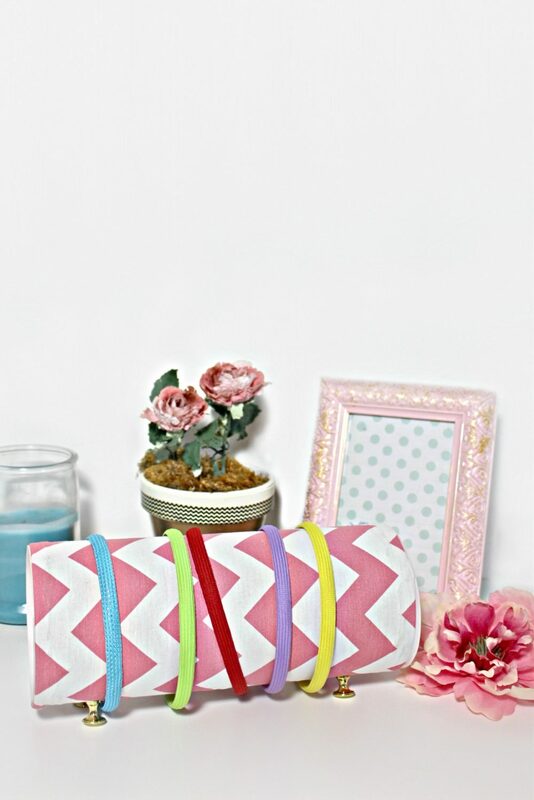 This headband organizer is perfect to keep clutter at bay and an easy way to spot and access all your headbands. 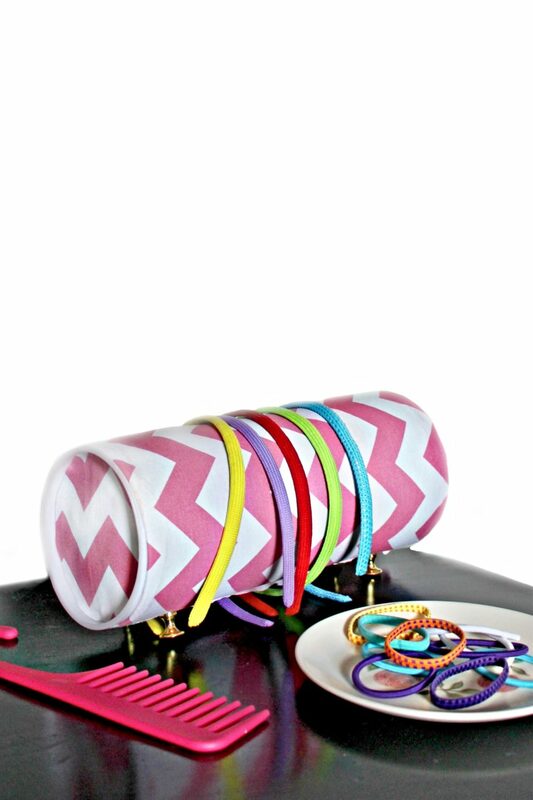 You can also customize this lovely DIY headband holder to match the decor in your child’s or your own room. Easy, quick and gorgeous way to make some headband storage and most importantly, mess be gone! How to make a headband holder like this, you’re asking? Oh, so simple and easy peasy, I can barely call this a tutorial! 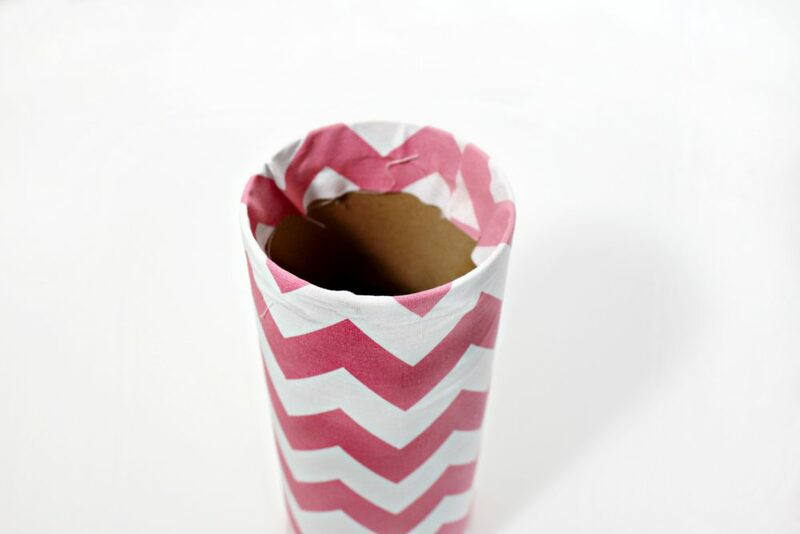 All you need to do is recycle a cardboard cylinder container instead of throwing it in the trash bin as you normally do! 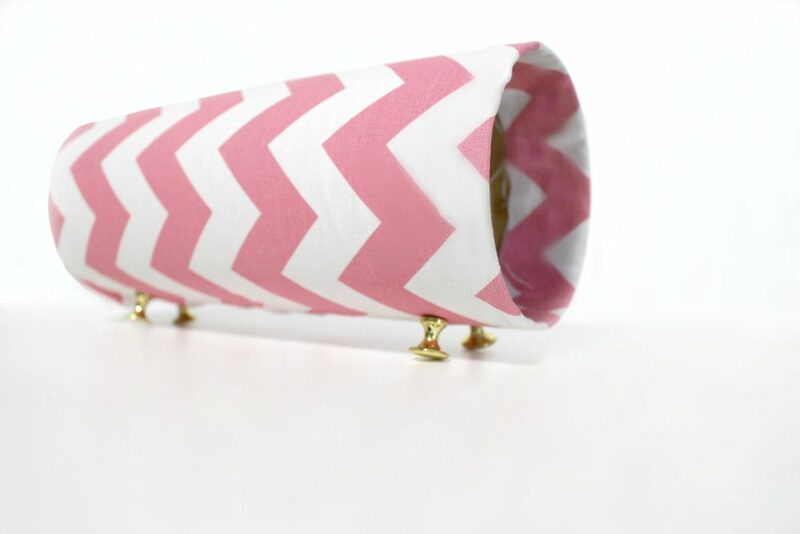 This adorable headband stand is so ultra affordable and easy, a great way to recycle and use up some of those fabric scraps! 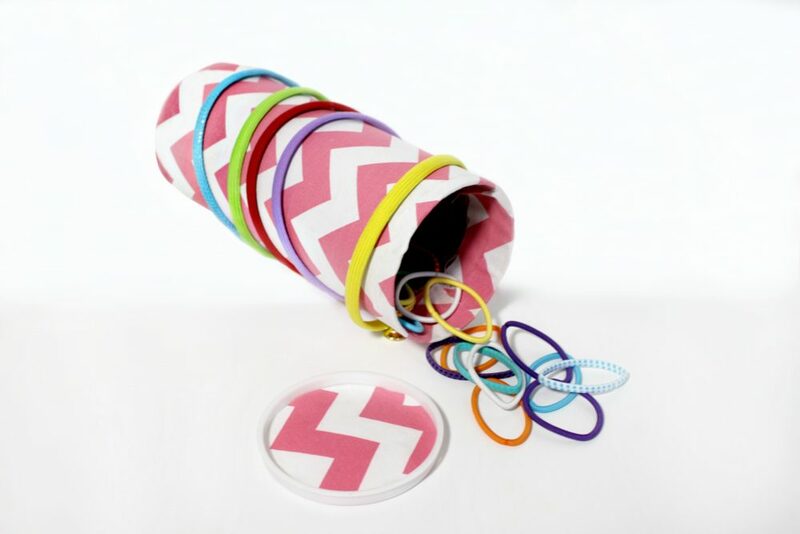 My headband storage organizer is made with such simple materials you most likely have on hand already, using scraps of fabric, recycled cylinder, glue and push pins. It can be displayed horizontally or vertically and doubles up as hair elastic and hair clips holder so add a few extra points to the awesomeness of this DIY headband holder! Have I convinced you? Let’s start making this bad boy! 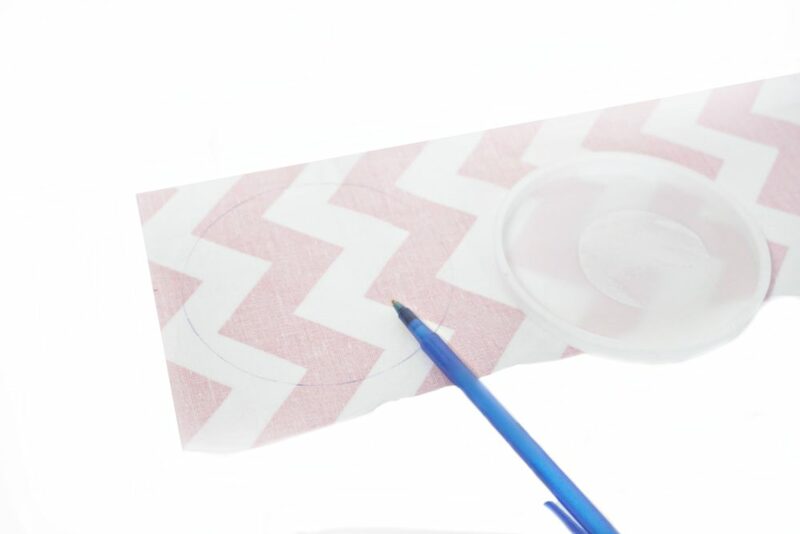 Strip of fabric that can be cut into two circles that are a little less than 5 inches across. Step 1. Make sure that the fabric is ironed and wrinkle free. Lay the fabric on the table. Step 2. 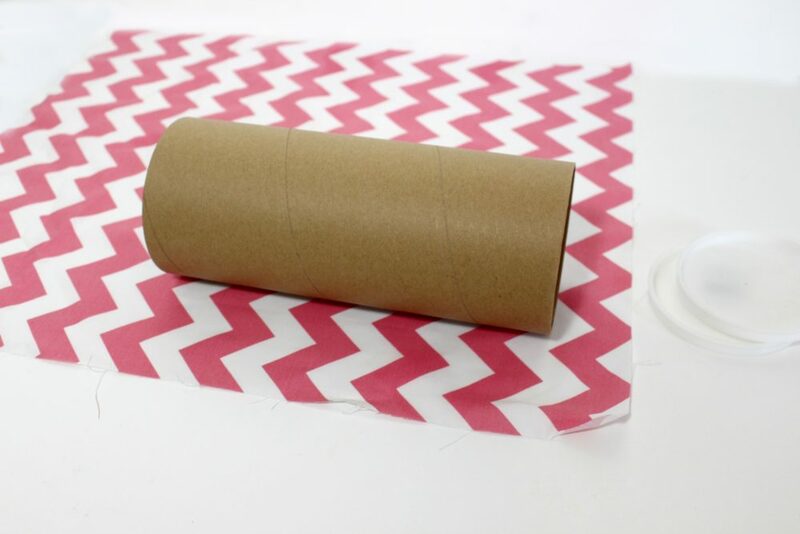 Lay the cylinder container on the fabric and make sure that your measurements are correct in that the fabric will cover the cylinder and fold inside on both ends 2 inches. Step 3. Use the scissors to trim the fabric. Step 4. 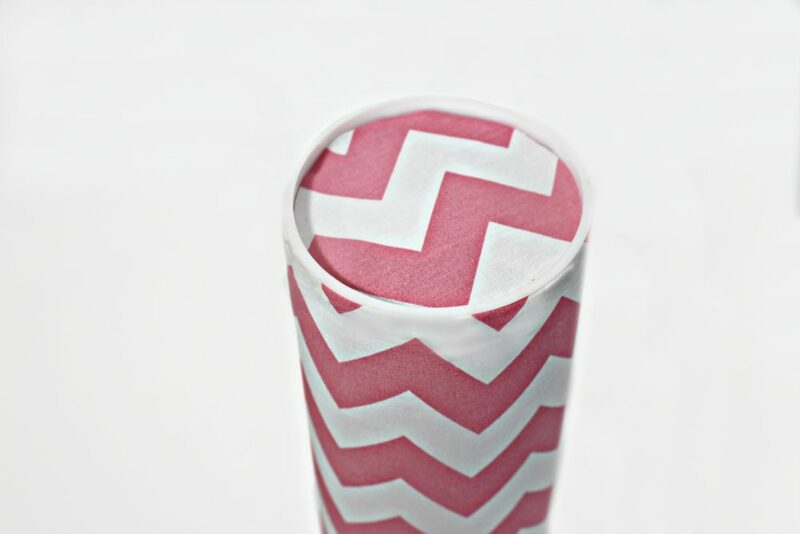 Heat up the glue gun and cover the cylinder with the fabric. Put hot glue on the first 2 inches inside of the container. Fold and press the fabric down inside so that it is sealed. Step 5. Cut two circles of fabric that will fit inside the lids of the container. Step 6. Glue them into the lids. Step 7. Apply glue to the inside edge of the push pins where the pin sticks out. Press them into the bottom of the container so that they act as legs to hold up the container. Step 8. 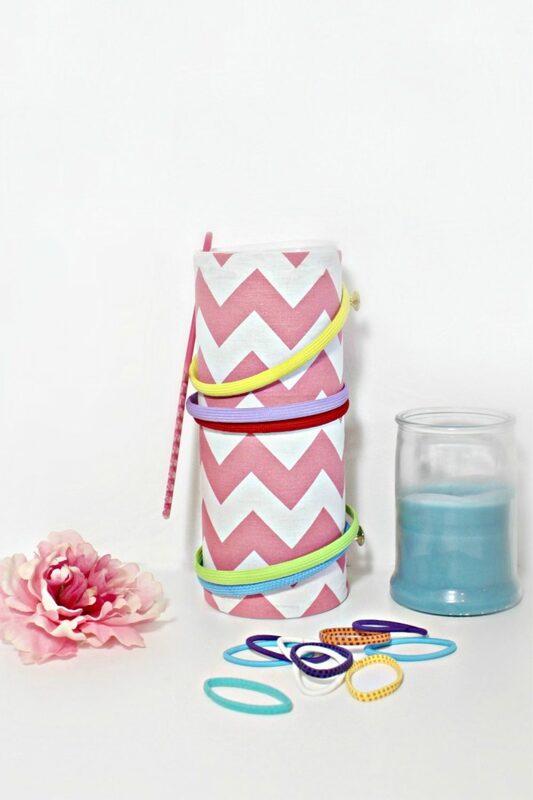 Fill the inside with hair clips, hair elastics and other hair ties. Put the headbands on the outside.